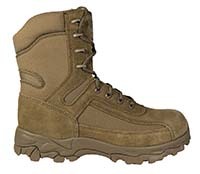 Freedom was introduced to offer athletic-like wearability and comfort in a tactical military boot. 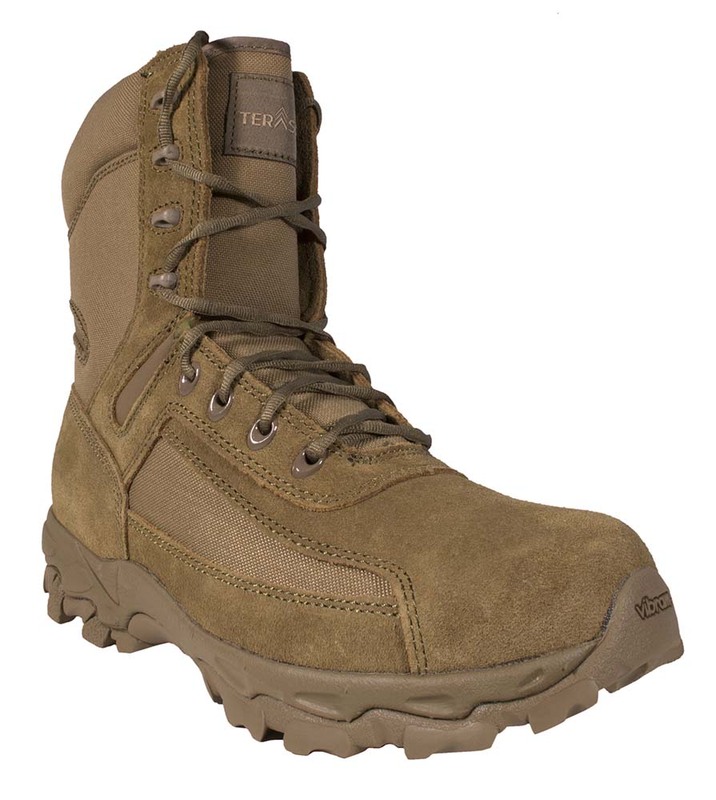 The Terassault Freedom HW is built with outstanding features like our Articulated upper. The upper is constructed with dual flex points; one in the forward ankle and one in the rear ankle. These flex points promote ease of motion when running or squatting. Combined with our Teraloc lace system, a superior comfort / performance boot is produced. 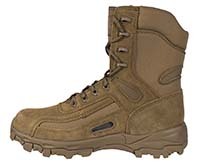 This series is our lightest weight performance boot group. A size 10R Freedom weighs in at 2.4 lbs / pair and meets AR670-1. 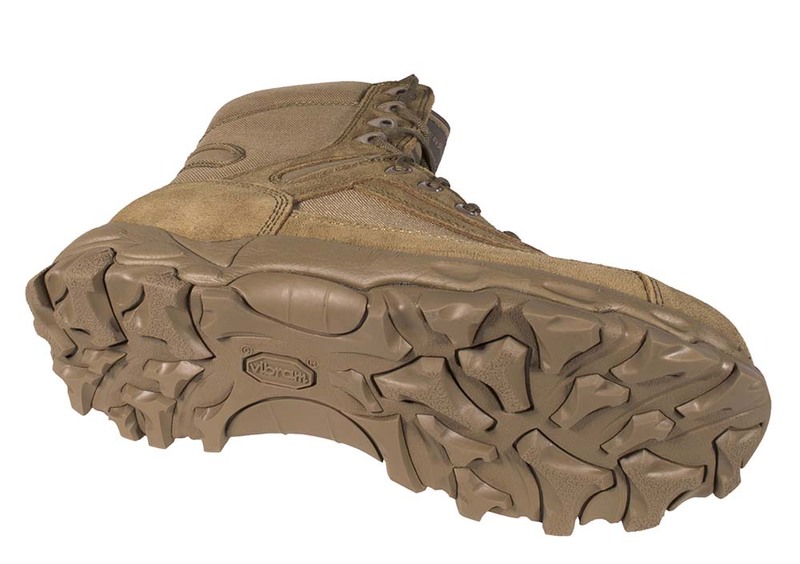 Coyote suede / nylon fabric / Vibram Multi-sport soleTM. Imported.